The RGB LED spot lights I have run from 12V AC or DC, but need at least 12V DC to operate correctly on all colours. In 2017 I had a few spot lights on the end of a 20m 0.75mm cable and the voltage drop was a little too much. In my 2018 Halloween display, I used a mixture of 24V and 12V DC power to run lights and props. 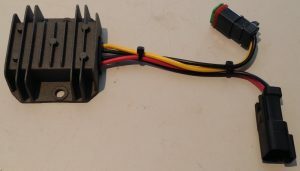 For the long runs of cable, I used 24V -> 12V DC converters at the far end terminated with Deutsch DT 2-pin connectors. This allowed me to run 24V down the long cable and convert down to 12V right where the lights are. The voltage drop in the cable was almost halved and the lights now have a good 12V supply to work on. I did the same thing with a few of the 12V props I’d made. No more dimming of the LEDs when the solenoids fired. 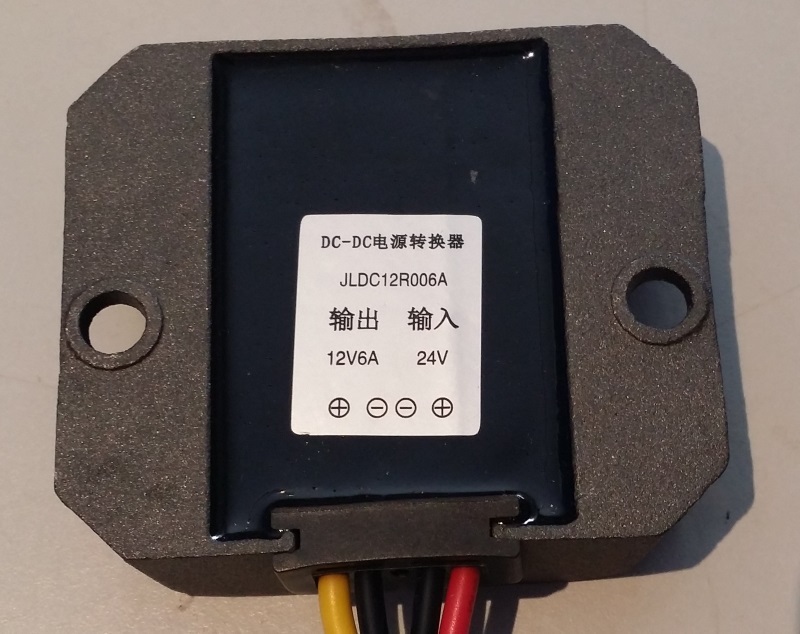 This DC converter was bought on eBay for about $9. 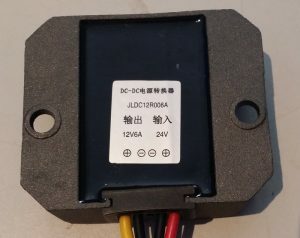 You can get 12V 3A (36W) units for $5 or so. The male pins go on the 24V input wires. The female pins go on the 12V output wires. Don’t rely on the wire colours as they can change. 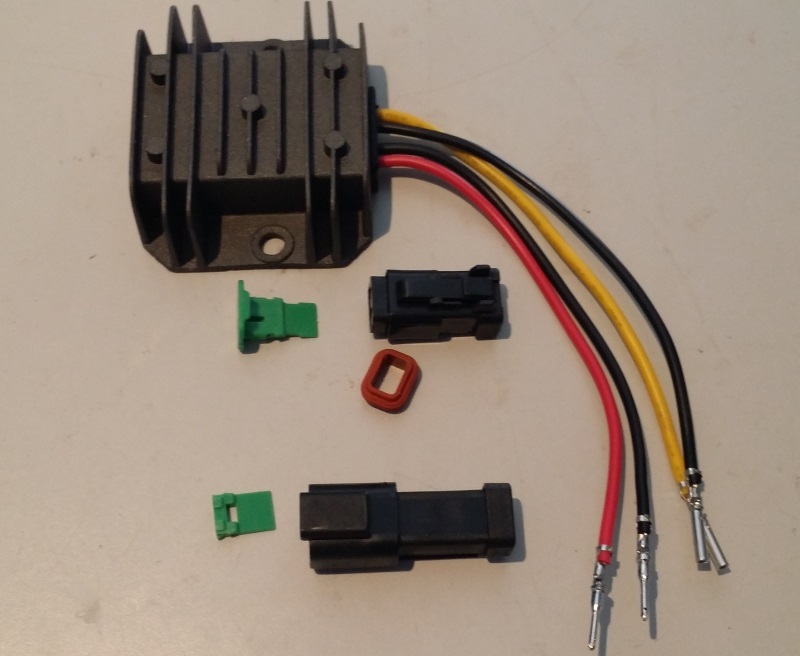 The connectors are full assembled. They are the same type as used in automotive engine bays. I like them because they are sturdy & weatherproof when mated.